Below you fill find all funeral homes and cemeteries in or near Templeton. Templeton is also known as: San Luis Obispo County / Templeton CDP. Zip codes in the city: 93465. Some of the notable people born here have been: Brian Barden (baseball player), and Chaunt� Lowe (track and field athlete). 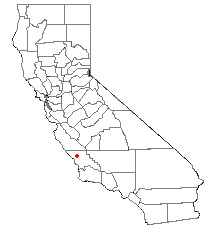 Templeton is a census-designated place (CDP) in San Luis Obispo County, California. The population was 7,674 at the 2010 census, up from 4,687 at the 2000 census. It was disclosed on March 30th, 2018 that Robert Haas died in Templeton, California. Haas was 90 years old. Send flowers to express your sympathy and honor Robert's life. It was disclosed by Orange County Register on March 18th, 2018 that Leon John Changala passed away in Templeton, California. Changala was 91 years old. Send flowers to express your sympathy and honor Leon John's life. It was noted by San Luis Obispo Tribune on December 5th, 2017 that Eugenia Ellenor "Jean" Thompson (Olsen) died in Templeton, California. Ms. Thompson was 92 years old. Send flowers to express your sorrow and honor Eugenia Ellenor "Jean"'s life. It was noted by San Luis Obispo Tribune on November 30th, 2017 that John Gardner passed away in Templeton, California. Gardner was 65 years old. Send flowers to express your sympathy and honor John's life. It was noted by San Luis Obispo Tribune on November 11th, 2017 that Denise Ann Casey died in Templeton, California. Casey was 65 years old and was born in Detroit, MI. Send flowers to share your condolences and honor Denise Ann's life. It was disclosed by San Luis Obispo Tribune on November 3rd, 2017 that Camille Dee "Big C" "Gammy" Baxter passed on in Templeton, California. Baxter was 76 years old. Send flowers to share your condolences and honor Camille Dee "Big C" "Gammy"'s life. It was noted by San Luis Obispo Tribune on October 6th, 2017 that Richard Edward "Papa" Ruiz passed on in Templeton, California. Ruiz was 88 years old. Send flowers to express your sorrow and honor Richard Edward "Papa"'s life. It was reported by San Luis Obispo Tribune on September 28th, 2017 that Celeste Phyllis English (Ortega) passed on in Templeton, California. Ms. English was 54 years old. Send flowers to express your sorrow and honor Celeste Phyllis's life. It was written by San Luis Obispo Tribune on September 27th, 2017 that Robert Steven Dutra passed away in Templeton, California. Dutra was 66 years old. Send flowers to express your sorrow and honor Robert Steven's life. It was reported on July 24th, 2015 that James Thomas III O'Donnell passed on in Templeton, California. O'Donnell was 50 years old. Send flowers to express your sorrow and honor James Thomas III's life. The population was 4,687 at the 2000 census. Templeton was founded in 1886 when C.H. In 1897 there was a great fire which burned most of the business district . The town was rebuilt, but much smaller than it had once been . In 1891 the railroad continued south and the town was reduced to a flag stop and is now a bypass . Phillips of the West Coast Land Company sent R.R. Treloar is planning to attend the annual Templeton Middle School Veteran's Day celebration ... c/o Mobile Hospital Unit #5, Fleet P.Q. San Francisco, CA. She could not tell where she was at and she was limited to two pages and was censored. We work with local florists and flower shops to offer same day delivery. You will find budget sympathy flowers in Templeton here. Our funeral flowers are cheap in price but not in value.